Living in New Zealand, the only way to get anywhere is to fly long distances. 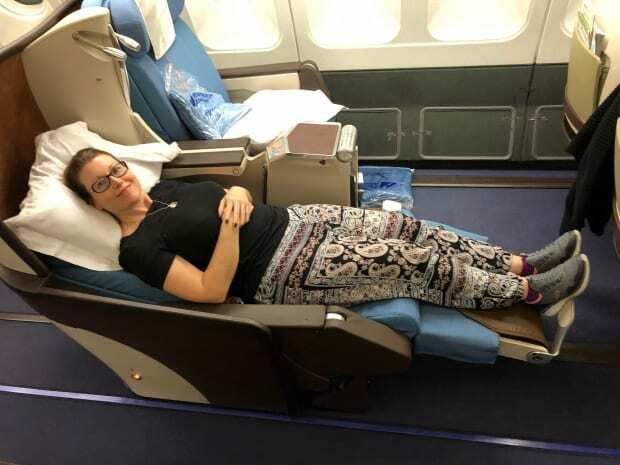 Being tall makes your standard long haul flight a real nightmare – economy fares have tiny seats, limited leg room and no chance at all of sleep. 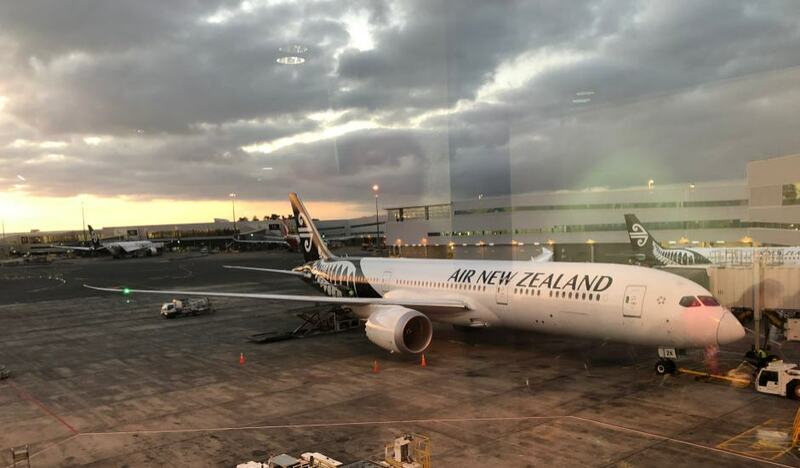 These two points have made me look at all the options available in terms of long haul cheap Business Class flights to or from New Zealand. 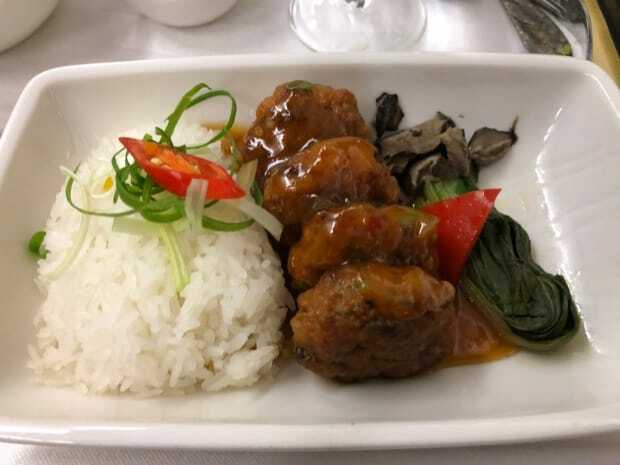 Some Business Class offerings stand out as being cheaper than the rest – most notably in my experience the Chinese carriers (China Southern, China Eastern and Air China) but also Philippine Airlines. I wasn’t an enthusiastic booker. 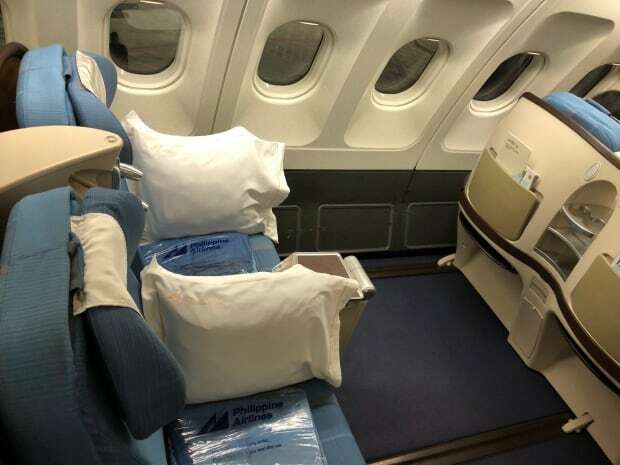 My research had brought up that the seats weren’t 180° lie flat which made me imagine sliding off the seat during the night and the cabin being full of passengers slumped on the floor by the time breakfast came around. 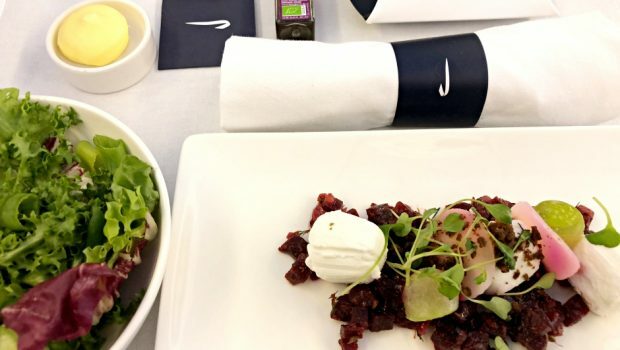 There were also mixed reviews of the Business Class offering with scathing comments about the seats on the Airbus A321. 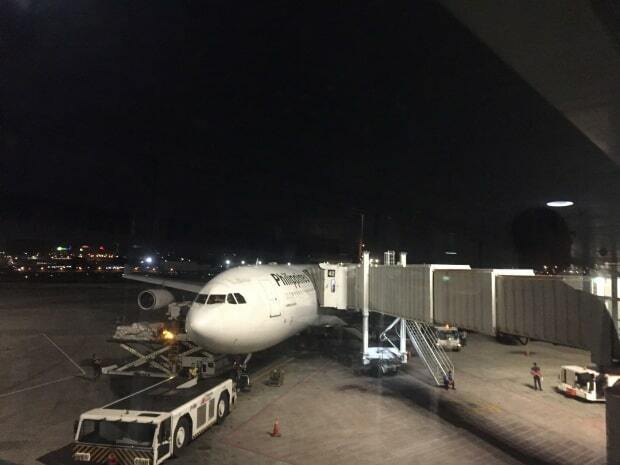 So I was glad when I checked out the flight on SeatGuru and found that the MNL-AKL route was served by an Airbus A330-300 with the Business Class seats in a 2-2-2 configuration – definitely not the A321. I made soooo many mistakes in the build up to the flight. We had arrived on a domestic flight into Manila’s Terminal 4 and were just about to leave the terminal after collecting our luggage so that we could find the shuttle bus to the international terminal (Terminal 2), when it occurred to me to ask a security guard where the shuttle bus departed from. The apron outside the security check point was crowded with people so it was a relief when he indicated we should go back inside the building and talk to a staff member inside. We were directed to a small waiting room separated from the runway by a paper thin wall so that I was convinced a plane would come through the wall, they sounded so loud. Almost as loud as the children playing while their parents wearily slumped on top of their suitcases, waiting in their seats for their transfer to one of the other terminals. The air con was made for a much larger room and so I made sure to sit in one of the few seats that weren’t directly in front of one of the units. And so we waited. And waited. 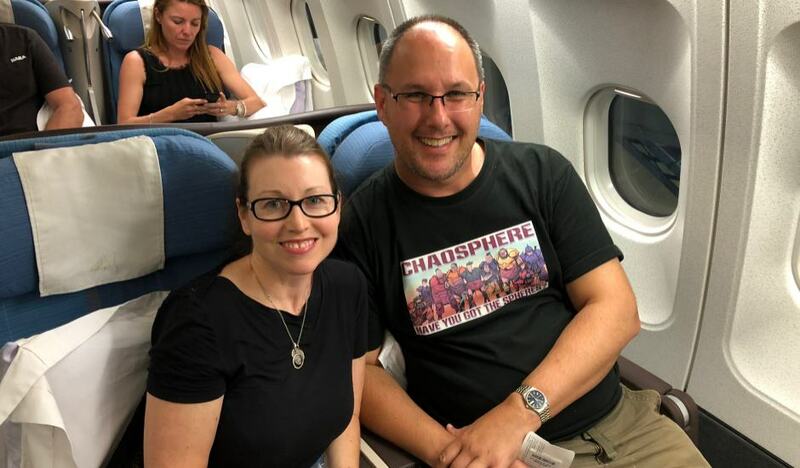 Eventually the staff member came past and took away the family and some other passengers joined us – as the staff member left he turned to us and let us know if would be another 20 minutes before our transfer would be there. We had plenty of time and I kept telling myself that worst case scenario we could walk the few kilometres to the other terminal. Thirty minutes later we were lead out past the luggage reclaim to the exit and along the footpath, ducking all manner of materials being placed in the x-ray machines which served as the pre security screening. I made sure to keep our guide in sight and as we approached a bus he turned slightly, told everyone in our group that the bus was for Terminals 1, 2 & 3 and then headed back to the air conditioned comfort of the terminal building. We, along with the other passengers, got on board and crammed ourselves in. 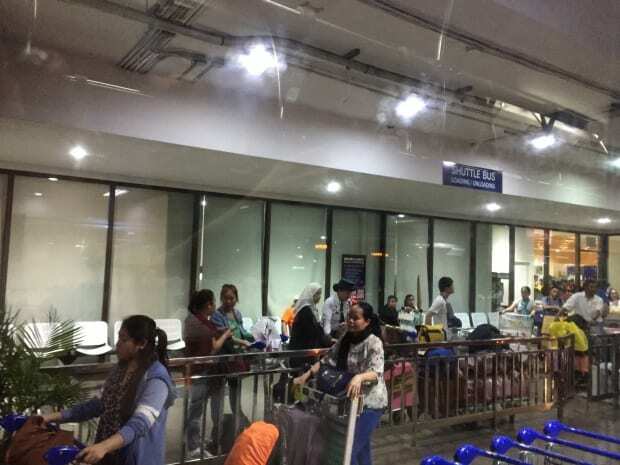 With a slamming of doors and a slight lurch we headed out into Manila Airport traffic. It quickly became apparent how foolish it would have been to walk. First of all there were no real footpaths, second of all the heat was unbearable and third of all the traffic had a logic all of its own. I was thankful that we’d researched the situation before hand and had built in enough of a buffer to accomodate the transfer in terminals, even though the distance as the crow flies was only a few kilometres. I was feeling pretty happy with myself up until we dropped off all the other passengers at Terminal 1 and the driver came back to where we were sitting and asked us where we were going. Smiling we said Terminal 2. His face dropped. I do Terminal 1 and 3 he said. There’s a different shuttle for Terminal 2. Ange and I looked at each other and shrugged. I turned back to the driver and told him that the guy from Terminal 4 had pointed at his bus and said Terminals 1, 2 & 3. He looked frustrated and told us to move our luggage to the front of the bus and to sit close to him. We shrugged and complied and then watched as he opened the doors to the passengers getting on at Terminal 1. 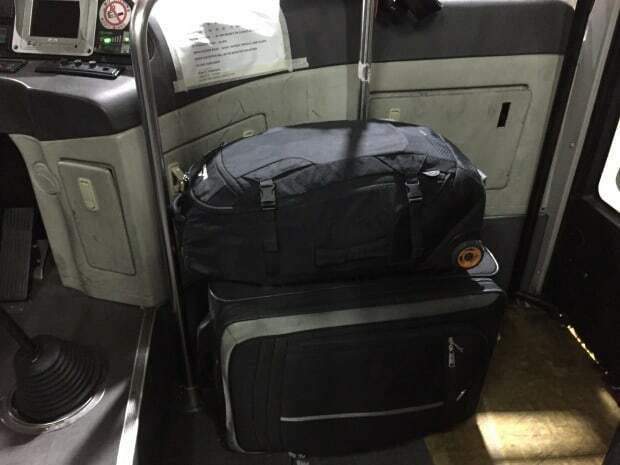 It was amazing as the security guards handling the queues allowed the passengers on one at a time and the bus driver accepted their luggage and stacked it expertly into a tower almost to the ceiling. 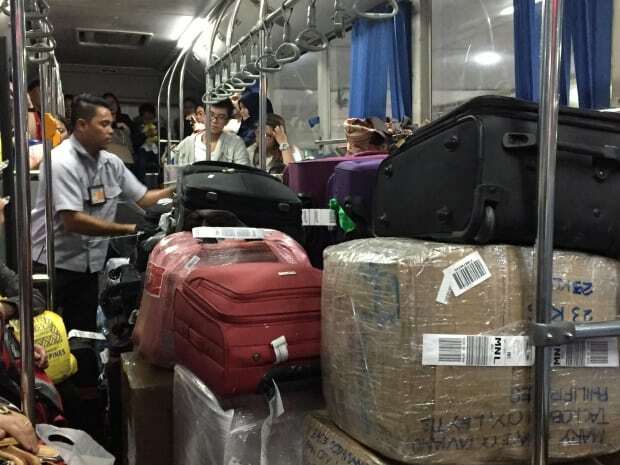 In the early evening heat he soon worked up a sweat from the luggage handling and we could see why he had gone to great pains to ensure that our luggage was separate from the new passengers. Eventually he indicated that he could not squeeze anyone else in, and the queue boarding halted. We then went back out in the the traffic and headed over to Terminal 2. This shortest of trips took the longest with the traffic coordinated by shotgun wielding security guards and much honking and hollering. With an exasperated sigh the driver yanked on the handle and we were deposited into the seething cauldron of people welcoming new arrivals, farewelling relatives and taxi drivers touting for business. It felt safe but busy – a more compressed version of a UK airport but with climate akin to walking through a warm bath. Another mistake – I didn’t notice the lifts up to the departures level from where we were dropped off on the arrivals level. This necessitated us navigating our way from one end of the concourse to the other through the crowds until we found some escalators heading up and then walking the same distance on he correct level to the front doors. By that time our elbow room when it came to time buffer had evaporated and we were only three hours before flight time. Yet another mistake: I didn’t notice the separate gate for all Business Class passengers. Apparently it was right in front of the entrance in the most obvious place imaginable. Nope: I missed it, found which check in desk was for our flight and then proceeded to walk again the full length of the terminal to the gate. And then waited in line with everybody else before being told that we could have gone straight through if I had seen the entrance. To add insult to injury, then Business Class lounge was all the way on the other side of the terminal. 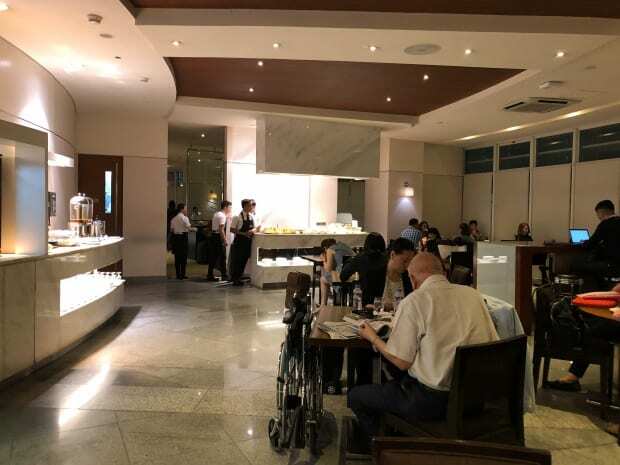 Now closer to two hours before our 10 hour flight to Auckland, so we tried to settle into the Business Class Lounge, have a bite to eat and enjoy our last tastes of the Philippines. 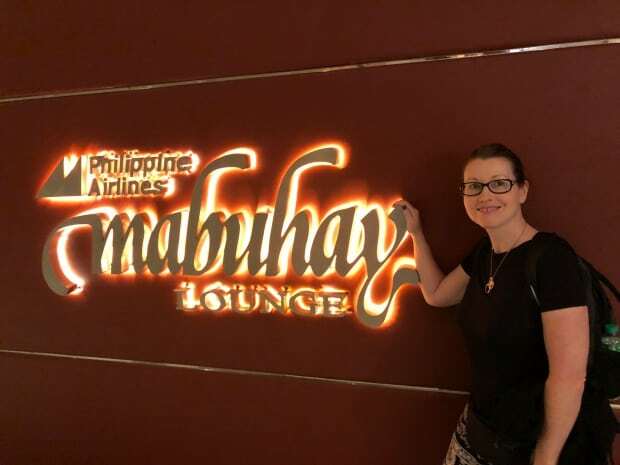 It proved harder than it sounds: the Mabuhay lounge was on the small side so we had to wait a while before seats became available. 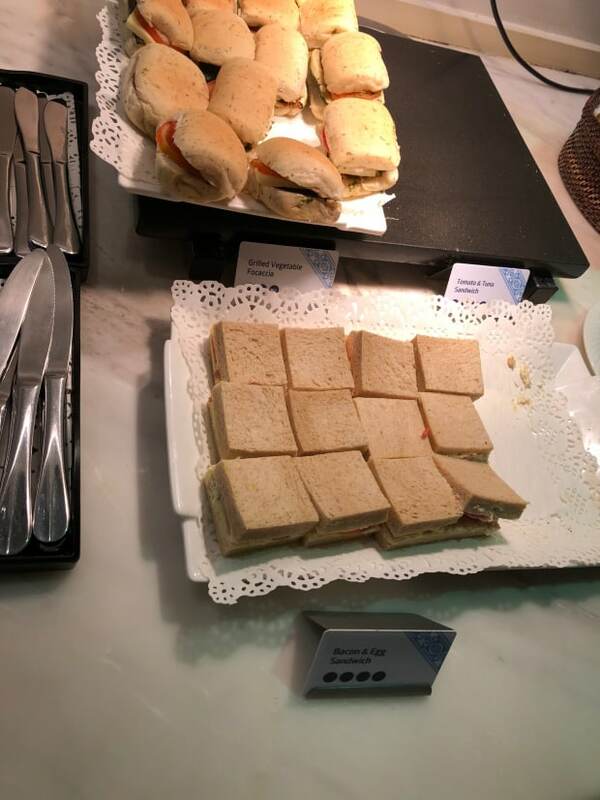 My research had indicated that the lounge was on the… more budget end of the spectrum and this proved to be the case. Limited food and drink options, few seats and initially at least a crowded jostling vibe meant that it was only just more relaxing than it had been outside. 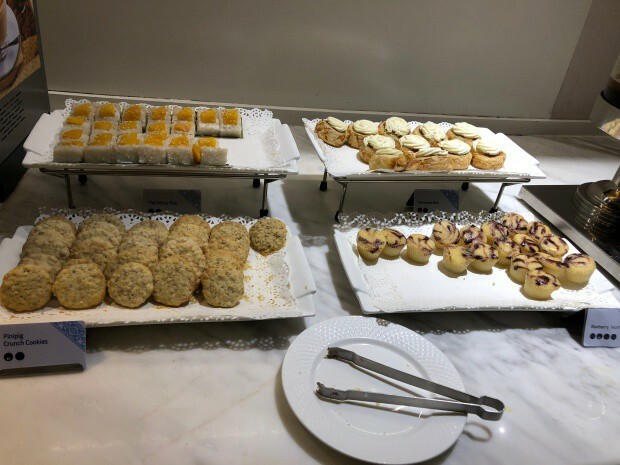 OK that’s unfair – but until the lounge started to empty out it was very hard to relax. So you can imagine my surprise when the actual flight was really really good. Getting on board the plane was quick and easy and then we saw the seat. OMG the leg room was amazing. 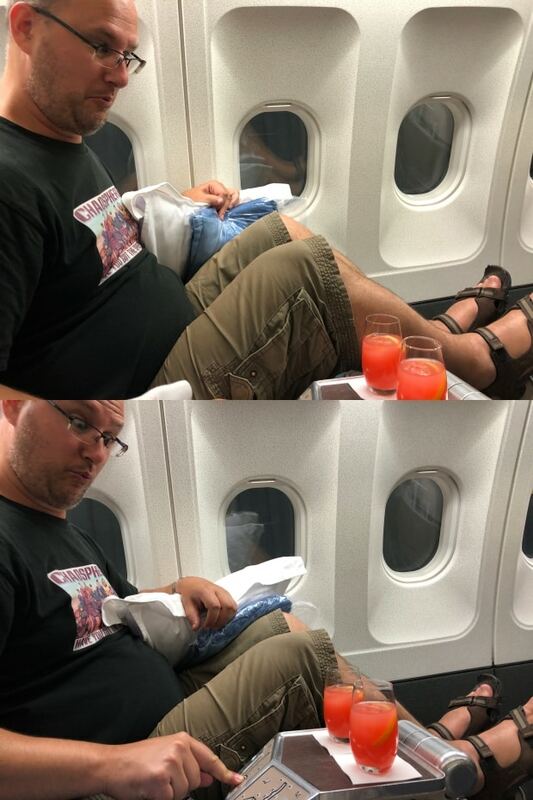 You could have put nine economy class seats in the space our two took. And the seat controls even had a vibrating lumbar setting! Ange straight away tried the full recline and found it very comfortable. I gave it a go as well but instead of folding down flat, my seat just kept raising higher and higher, much to Ange’s amusement. 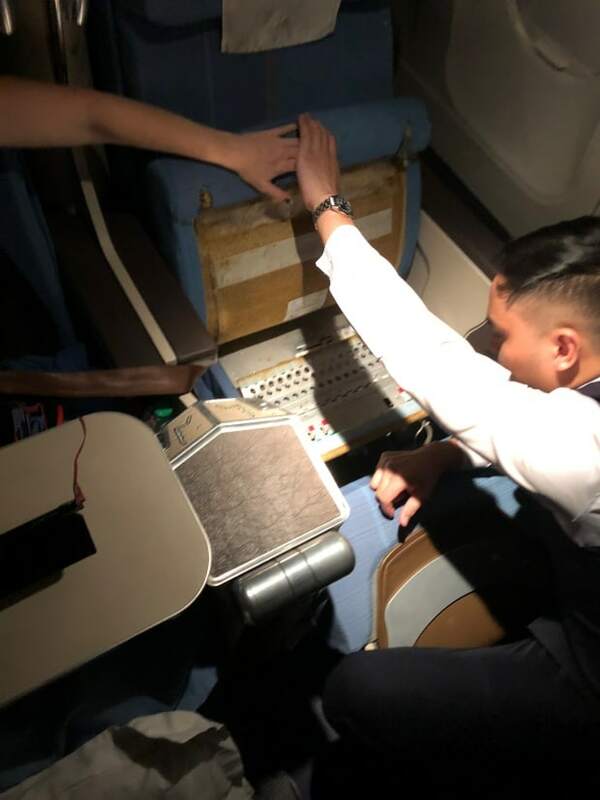 I decided to stop playing with the seat and put it back to an armchair mode while the air crew served fresh juice and helped the other passengers stow their luggage. 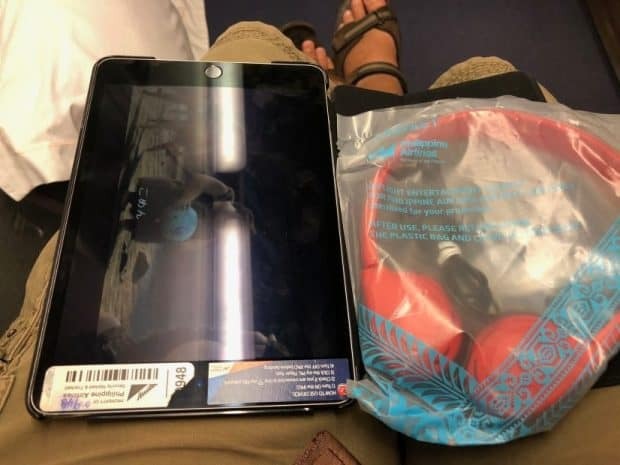 I was just starting to look around for the entertainment system when the crew came around with an iPad and personal headphones. My first time with that sort of set up, but I did appreciate not having a restricted set of viewing angles, which you tend to get when the screen is fixed to the back of the seat in front or attached to an arm on your own seat. 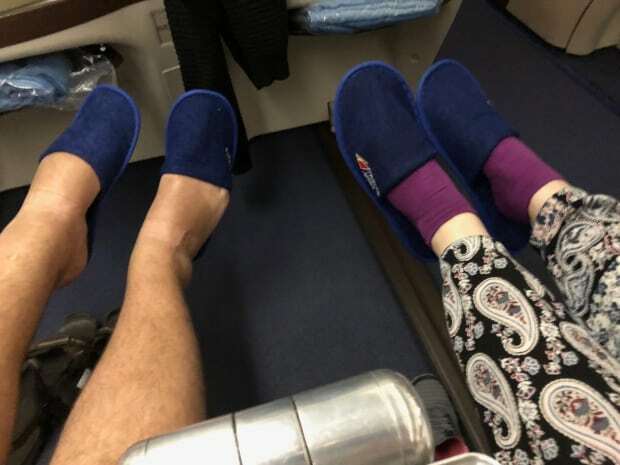 More hilarity ensued when we were given slippers for the flight. One size fits all is a joke for both me and Ange – her because the slippers are inevitably too big, and myself for the opposite reason. I had to snap a shot to illustrate this. 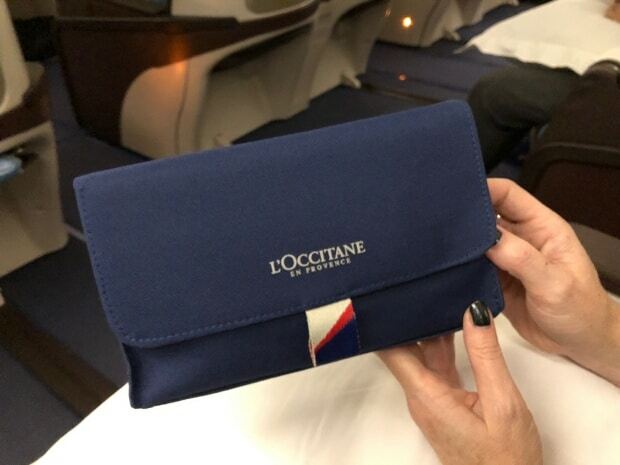 The hilarity soon changed to excitement for Ange as the amenities kit came out and she found it was L’Occitane. plus a folding hairbrush which I, being follicly challenged, very kindly offered to Ange. 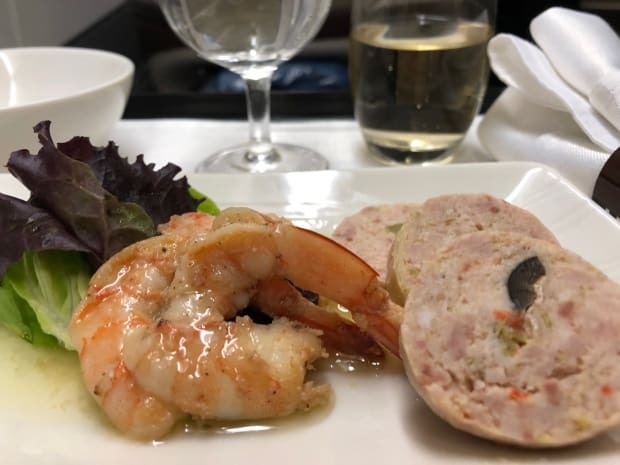 The food was scrummy and there was a lot of it – starting with a cold platter of Chicken Galantine and Marinated Prawn Salad. 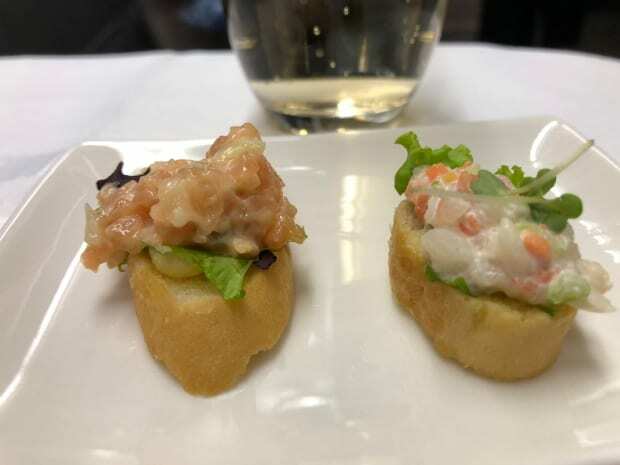 Then came a Chicken and Prawn Baguette. 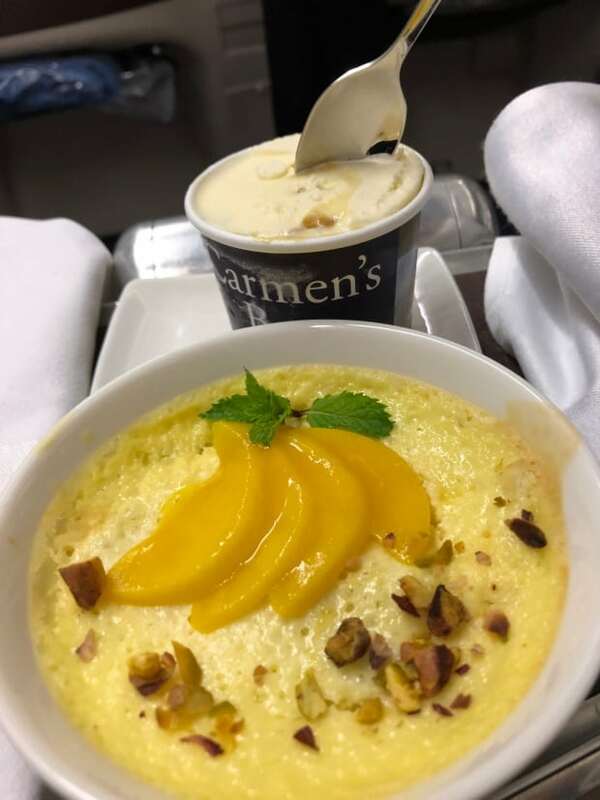 For the mains Ange chose the Prawn Cakes while I selected the Roast Pork in Maple Glaze and we shared the dessert of the Mango Crepe Samurai accompanied by a delectable ice cream. After dinner the lights in the cabin dimmed and most people attempted to set themselves up for bed. The person across from us tried without success to get their bed to fold down, but like mine had previously it refused to behave. The air crew came over and took the cushions off the seat and tinkered with it and it worked after that. So I called them over and asked if they could do the same for mine. 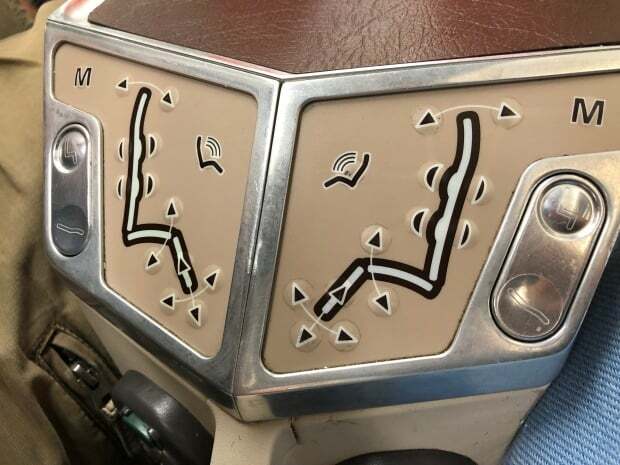 It turns out that the layout of the cabin was a little old and that the seats would periodically need resetting, and that the only way to do that was to take the cushioning off them and hold down a button for a couple of seconds. The comparison with the BA flight we’d taken only a few days ago was stark. 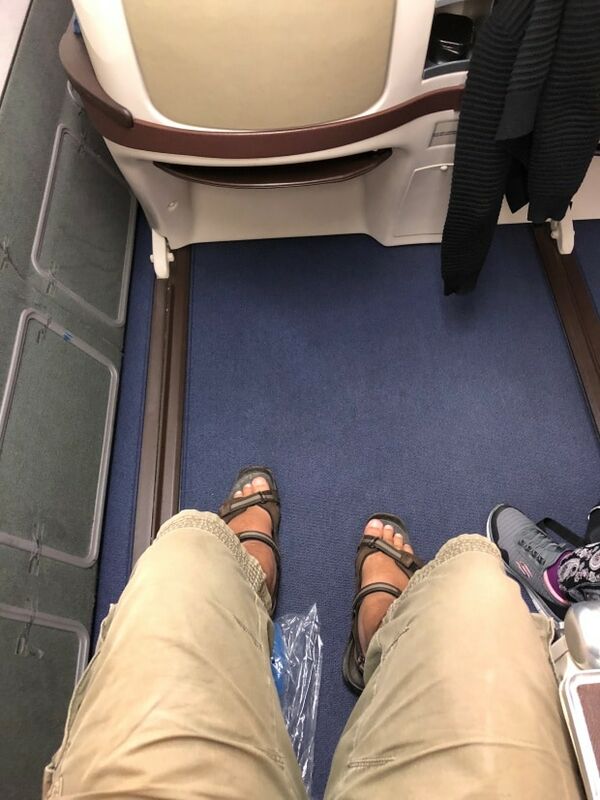 The Philippine Airlines seat had more length, more width and although was on a slight angle, certainly didn’t feel like I was going to slide off. 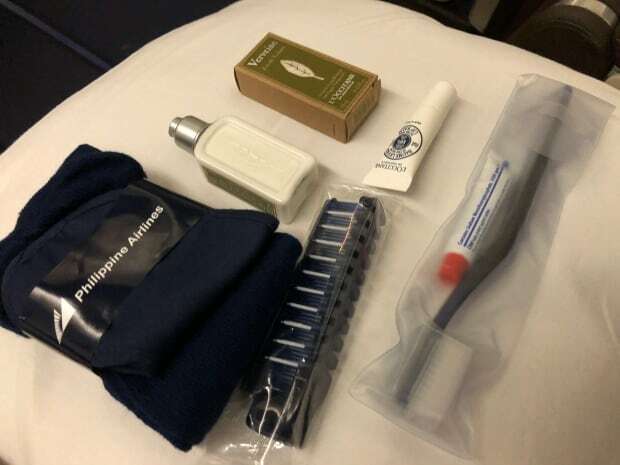 More importantly whereas the BA seat seemed to be designed to punish anyone over 6 foot tall, the Philippine Airlines one felt like there were enough options in terms of how to position one’s body so that a good sleep was possible. Before I knew it, it was four hours later and the lighting in the cabin was slowly growing, people were getting up to use the bathrooms and the crew were coming around with juice and hot towels. 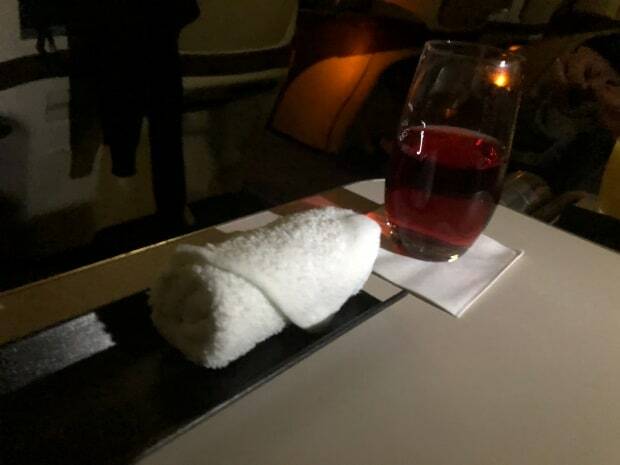 While accepting the juice and towel, I remained reclined, burrowed into the blankets – still trying to hang on to the last warm comforts of sleep. Until the breakfast came around of course. Ange didn’t go any further than the fruit platter and cereal (still being full from dinner). 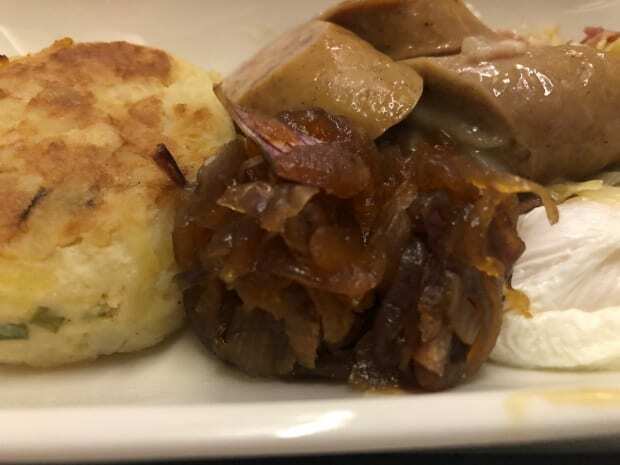 I elected to try both the selection of breads plus the Kielbasa sausage and poached egg which came with caramelised onions and potato rösti. Nom nom nom!! Soon, with the dishes cleared away and seats in upright mode, we were approaching the coast of New Zealand. 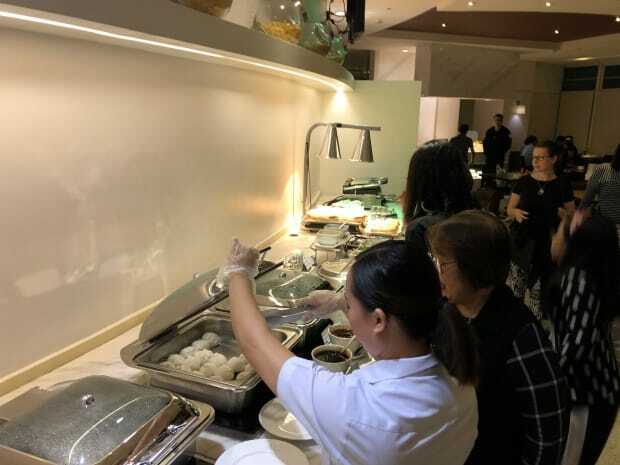 The Filipinos are known for their hospitality and service and the crew had been nothing but professional and attentive. Even the more demanding of our fellow passengers had been given great service with a smile. 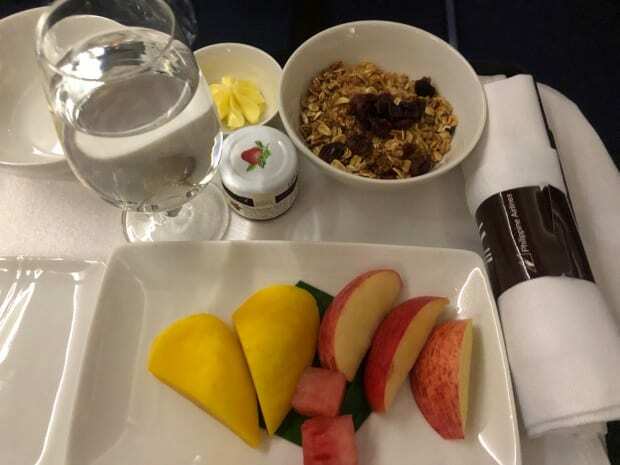 I was pleasantly surprised by the quality of the flight – I’d always looked down my nose at slightly angled 180 degree seat arrangement, seeing it as a substandard offering. 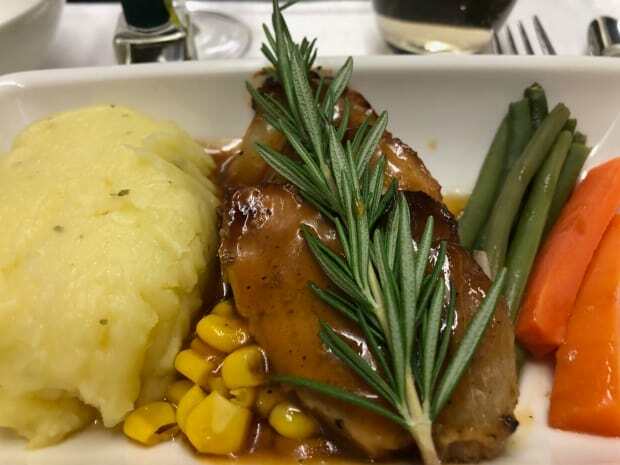 With the proof of the pudding well and truly tasted, it was great to have Philippine Airlines as an option for cheap Business Class flights into or out of Auckland.